The shawl is a top-down wedge shawl with a knitted-on border. 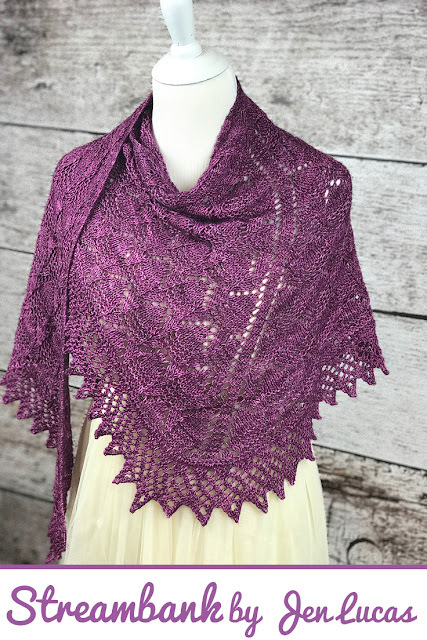 It's the kind of shawl I feel like I'm known for, and hopefully the kind of shawl you love as much as I do! Streambank is worked in Malabrigo Dos Tierras - a DK weight yarn. The shawl comes out pretty big. I love big shawls these days! But, you could definitely work it in a different weight yarn if you wanted. 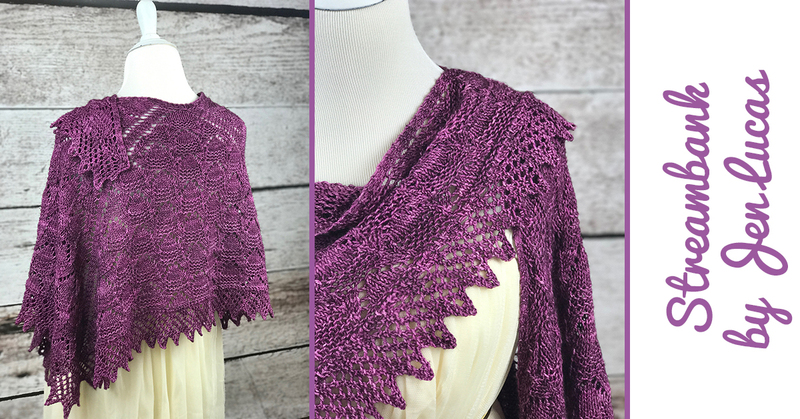 This shawl will look great at any size. Written instructions are included with the charts, as always.